He was born on 28 April 1943 in Kunjah, Gujrat District. He was commissioned into the Frontier Force Regiment on 19 April 1964. Major Shabbir Sharif, as commander of a company of 6 Frontier Force Regiment, was ordered in December 1971 to capture high ground near Sulemanki Headworks defended by more than a company of the Assam Regiment supported by a squadron of tanks. In a well organized superhuman action, for the next three days and nights after crossing a minefield and massive obstacles and killing forty-three soldiers and destroying four tanks, Major Shabbir Sharif and his men held two enemy battalions at bay. 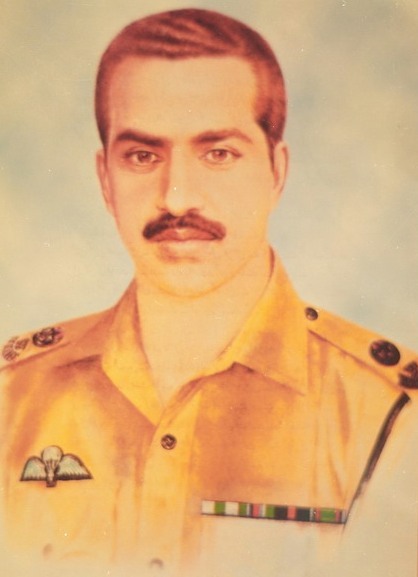 But after he took over an anti-tank gun from his gunner in an attack he embraced martyrdom by a direct hit in the afternoon of 6 December 1971.